Featuring a 250 lumen daytime flash mode, this Lezyne USB-rechargeable front bicycle light will get you seen, night or day. 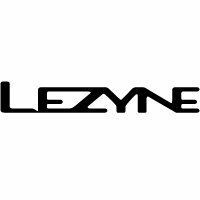 Solidly built the Lezyne way - check the machined alloy faceplate to reinforce the lamp's composite body - the Zecto front light is tough, stylishly designed and effective as we have come to expect from Lezyne. As well as ensuring it gets you seen at night, Zecto's intelligent daylight flash mode is bright enough to confer real presence on daytime rides.